Cauponium | Where Traders come to Chill. Here are some options to connect to our IRC server to chat with like-minded people. NOTE: You need to allow pop-ups to view, or use your own chat program using the alternative method. NO SPAMMING OR UNAUTHORIZED ADVERTISING IS ALLOWED (INCLUDING BUT NOT LIMITED TO AFFILIATE MARKETING). WE WILL ENFORCE THIS AND MAY DO SO WITHOUT WARNING. For a list of comprehensive IRC Clients that can be used to connect to Ircforex, please visit here. No support for these products is provided by CAUPONIUM. 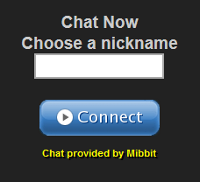 If you continue to have issues and want to use a web chat interface, then please use the Mibbit Chat.